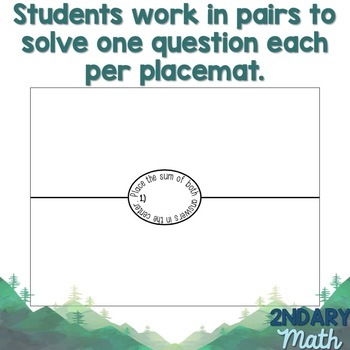 Placemats is a fun, engaging way for students to solve questions at any level. 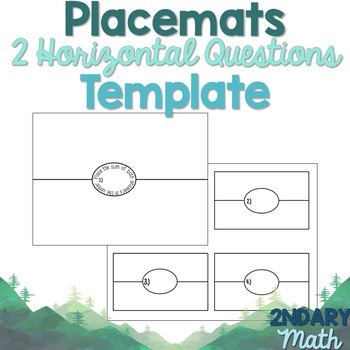 This file includes directions, 16 formatted placemat templates (two questions per page), and an answer key template. Teacher checks the sum and states if the group is correct. The group must work together by checking their answers the sum is correct.